This falls under the rubric of “Extreme Obamite Cleverness” (EOC). Mind you, we are talking about demolishing individual homes of individuals who were proved to have engaged in terrorist acts, for instance Muhammed Naif El-Ja’abis, who had stolen an excavator on August 4, 2014, ran over pedestrians with it, injuring several and killing one, before ramming it into a public bus, overturning the bus and then hitting it repeatedly with the scoop. One has to assume that, because she is spokeswoman for the Obama State Department, this is in fact the official position of the Obama administration. 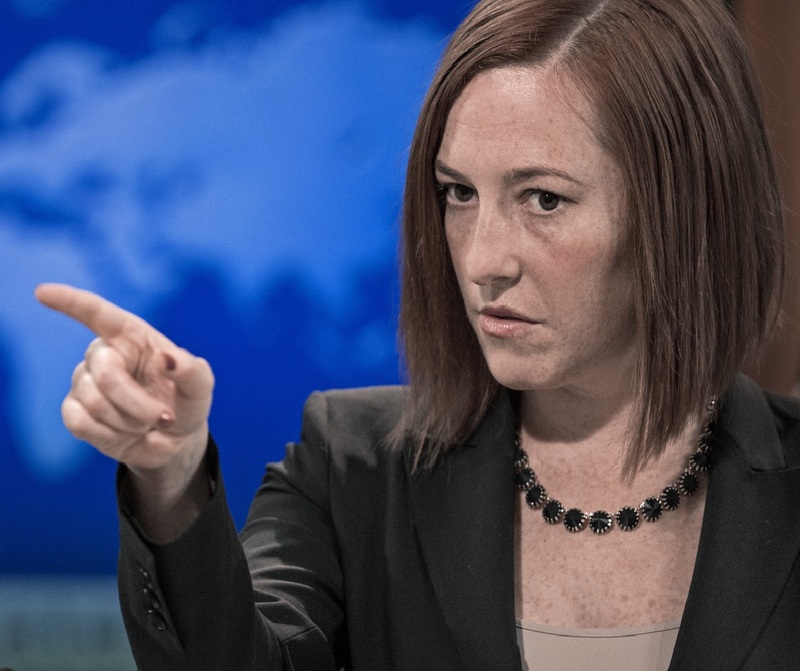 Newsflash, Miss Psaki. Collective punishment refers to taking action against a group of people, not individuals, hence the use of the word “collective.” But given the Obamite track record vis-à-vis the Jewish state, my impression is that the term was used deliberately because the 1949 Geneva Convention defines collective punishment as a war crime. The underlying formula is pretty simple: Israel + any act of self-defense against Palestinian terror = war crime. Earlier illegal act: Muhammed Naif El-Ja’abis carried out a terror attack with a stolen excavator, killing at least one Israeli and wounding several. Reprisal, made legal by the initial illegal act: the Israelis demolish his home. This entry was posted in bigotry, Israel's right to self-defense, Obama, Obama administration, Palestine, State Department, terrorism and tagged anti-Semitism, collective punishment, Israel, Jen Psaki, Obama's anti-Semitism, Palestinian terror, reprisal, State Department. Bookmark the permalink.